Hello Folks, Are you looking for the LMRC Junior Engineer Recruitment 2018? So, we have awesome news for all those job seekers who want to make their career bright in Lucknow Rail Metro Corporation Limited. Here, we are going to share all the important details related to the LMRC Vacancy 2018 in the below description of the article. Interested & eligible Individuals may read out this full article very carefully and grab all the important details from here. 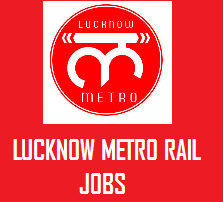 You may online for the recruitment from the official website of the Lucknow Rail Metro Corporation Limited that is www.lmrcl.com. For getting additional details regarding the upcoming recruitment, admit card, result & answer key etc. Youngsters must bookmark our careerjobs360 official portal & grab all the latest news from here. The LMRC- Lucknow Metro Rail Corporation Limited recently released the official notification for LMRC Vacancy 2018 intends to appoint the eligible and passionate contenders on the various numbers of posts in the department. The LMRC department is looking for eligible and skilled candidates for filling up various empty posts in the department. There is a total of 386 numbers of vacancies in the department. The department is looking for eligible & efficiently working aspirants for SC/TO, Asst. Manager, Customer Relationship Assistant, JE & Account Assistant Posts. The interested aspirants can apply online for LMRC Junior Engineer Recruitment 2018 on or before the due date which is 27 March 2018. We will provide you all the details regarding the LMRC SC/TO Jobs 2018 like Educational Qualification, Age limitations, Age relaxations, Application fee, Selection Procedure, Remuneration, Application Fees, Important Dates and the steps to apply online etc. The aspirants must go through these details before applying online. Educational Qualification: Willing Candidates must have done diploma/B.tech/ &post graduate degree in Mechanical, Electrical, Fitter, Electronics, Civil discipline from a recognized University or Institutions. For more about required qualification, candidates can check the official notification. Age Limitation: The minimum age limit for the aspirants is 18 years & the maximum age limit for the aspirants is 28 years. For more information about age limitation please check the official notification. Age Relaxation: The relaxation in age will be given only to reserved category aspirants as per the norms of the government. Application Fees: Candidates may check the official notification for application form fee. Selection Process: The candidates will be selected on the basis of their performance in the following rounds which is going to be conducted by Lucknow Metro Rail Corporation Limited. Pay Scale: The finally selected aspirants will get an impressive amount of monthly salary specified by the organization. For more details please refer to the official notification. The aspirants can apply online for the vacancy from the official website of the department. We are also providing the steps that the candidates can easily follow to apply online for the LMRC Customer Relationship Assistant Jobs 2018. On the homepage find out the official notification of LMRC Junior Engineer Recruitment 2018 download the official notification. Find the official link for the LMRC Junior Engineer Application form 2018. Enter all the details carefully in the application form. Upload the scanned copies of the certificates as per the requirement and the passport size photograph and the signature. Verify all the details and finally click on submit button. At last, take a hard copy of the application form. Keep it safe for further purpose. Here, in this article, we provide each and every detail about the LMRC Customer Relationship Assistant Vacancy 2018 in the above description of the article. All the interested and eligible aspirants must read this complete article & then apply online from the official website of the department. For more detailed information candidates can bookmark our page and get all the latest notification from here. Our Professional team updates this page on regular basis.